In the first half of the 18th century, Afshar Nader Shah had played an essential role in the history of Iran and the countries around. It was an area extending from the northeastern boundries of the Ottoman Empire to India and from Oman to Transoxiana wherein more than ten independent states exist in the present day. Nader Shah has been renowned most widely for having recovered the usurped Iranian throne from the Ghilzai Afghans and for uniting the country. However a considerable amount of literature has touched upon his military career, striking achievements and the armed forces during his reign. There has been a unanimity among the majority of the researchers that he was one of the unusual military leaders of the history who had grown up facing hardships and precious lessons of the battlegrounds. He had felt certain admiration for Timur who had once reigned over almost the same area. The army of Nader Shah had borne traces of previous Turkish and Safavid armies. On the other hand he had blended the prominent features, namely, mobility and firepower of either armies and developed an idiosyncratic military organization which was suitable for fighting over a vast area with diverse geographical features. References Akad, M. Tanju (2013). Askeri Tarihte Stratejik Düşünce, İstanbul: İş Bankası. Arunova M. R. & K. Z. Eşrefyan (2015). Nadir Şah-ı Avşar, (Nergize Turaeva, translation), İstanbul: Selenge. Axworthy, Michael (2006). The Sword of Persia, New York: Tauris & Co. Axworthy, Michael (2007). “The Army of Nader Shah”, Iranian Studies, 40(5): 635-646. Axworthy Michael (2011). “Nader Shah and Persian Naval Expansion in the Persian Gulf, 1700-1747”, Journal of the Royal Asiatic Society, 21(01): 31-39. Bayur, Y. Hikmet (1987). 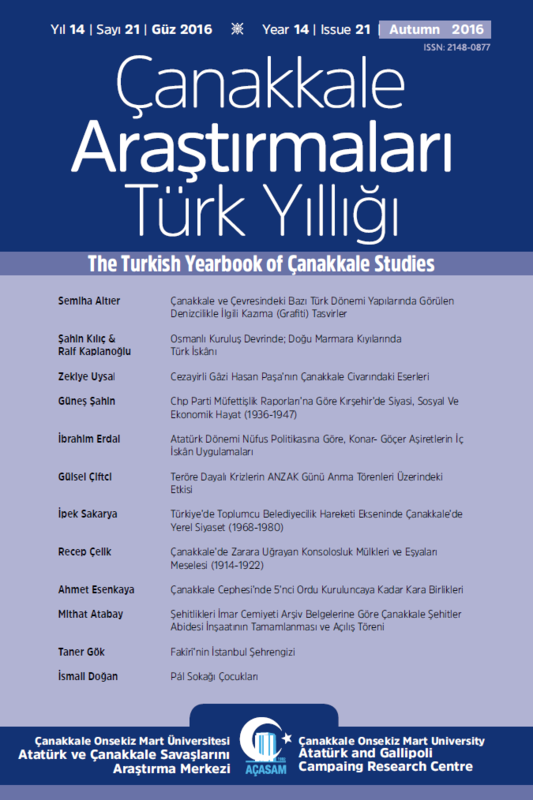 Hindistan Tarihi, C. III, 2.B., Ankara: TTK Cunningham, Alexander (2013). The Ancient Geography of India, New York: Cambridge University Press. Erdoğan, Eralp (2015). “Safevi Ordusunda Bir Birlik- Kurçiler”, Ankara Üniversitesi Dil ve Tarih-Coğrafya Fakültesi Dergisi, 55(2): 75-88. Fraser, James (1742). History of Nadir Shah, 2nd Edition, London: (n.p). Gomman, Jos (2002). Mughal Warfare, Indian Frontiers and Highroads to Empire 1500– 1700, London: Routledge. JFSC PUB 1 (2000). The Joint Staff Officer’s Guide, Virginia: National Defence University Joint Pub 1 (2013). Doctrine for the Armed Forces of the United States, Retrieved: July 2, 2018 http://www.jcs.mil/Portals/36/Documents/Doctrine/pubs/jp1_ch1.pdf Kafesoğlu, İbrahim (2005). Türk Milli Kültürü, Yayınevi, 26. Baskı, İstanbul: Ötüken. Köprülü, Fuad (1979). “Avşar” İA, 2. Cilt, İstanbul: MEB. Lockhart, L. (1938). Nadir Shah, London: Luzac & Co. Malcolm, John (1812). “Translation of two letters of Nadir Shah; with introductory observations in a letter to the President” The British Review and London Critical Journal, London. Mallick, P. K. (2009). Principles of War: Time for Relook, New Delhi: Centre for Land Warfare Studies. Mathee, Rudi (1996). “Unwalled Cities and Restless Nomads: Firearms and Artillerv in Safavid Iran”, Safavid Persia, Ed. By Charles Melville, (389-416), London: Tauris & Co. Minorsky, V (1964). “Nadir”, İslam Ansiklopedisi, C. 9, İstanbul: Milli Eğitim Basımevi. Murphy, John (2008). “Nadir Shah”, Encyclopedia of World History, Ed. By. Marsha E. Ackermann et al., Vol 3, New York: Infobase Publishing. Nolan, Cathal J. (2006). The Age of Wars of Religion, 1000-1650, Vol. 2, Westport: Greenwood Press. Perry, J.R. (1993). “Nadir Shah Afshar”, The Encyclopedia of Islam, Ed. By. C. E. Bosworth, et. al., Vol. VII, New York: E. J. Brill. Roamer, H. R. (1986). “The Safavid Period”, The Cambridge History of Iran, Ed. by Peter Jackson & L. Lockhart, Vol. 6, Cambridge: Cambridge University Press. Roy, Kaushik (2015). Military Transition in Early Modern Asia, 1400-1750, Great Britain: Bloomsbury Publishing. Shahed Babak (2016). Dürre-i Nadiri’ye Göre Nadir Şah ve Dönemi, Unpublished Master’s Thesis, Ankara, Ankara Universitesi Sosyal Bilimler Enstitüsü. Sırrı Efendi (2012). Risaletü’t-Tarih-i Nadir Şah (Makale-i Vakı’a-ı Muhasara-i Kars), Hazırlayan Mehmet Yaşar Ertaş, İstanbul, Kitabevi.